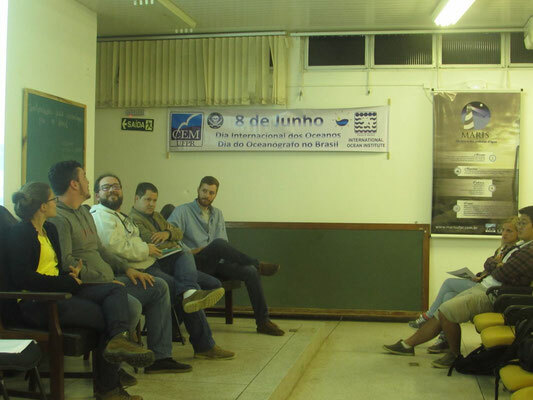 Last June 8th, the IOI Training Centre for Latin America and the Caribbean – Brazil organized an event for the World Oceans Day celebration. The event brought people from different areas of the ocean sciences interested in talking about ocean health and plastic pollution, a theme actually in the top of the international agenda regarding the oceans. In the past editions, we talked about science to scientists, but this year we decided to take science to community, making the ideas clearly for all the people: scientists, local residents, youths and older people. This is our biggest challenge nowadays and we are on the right track. 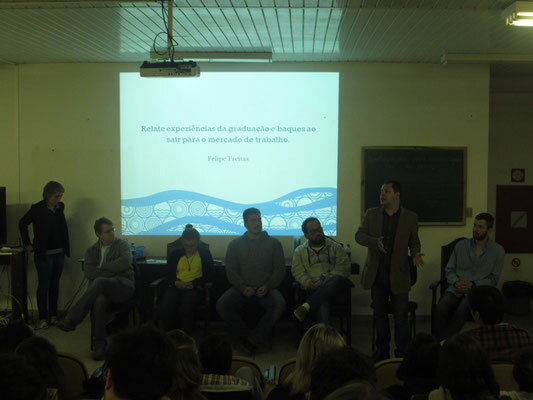 About 60 people took part of this discussion at the Coelho Jack – Bar & Restaurant, and four of them presented their studies and scientific works about the ocean health using a proper language for the audience. For the first time, the main activities (the conferences) were organized outside the CEM/IOITCLAC facilities, with the main objective of attracting the community to a place with no academic nor scientific implications. 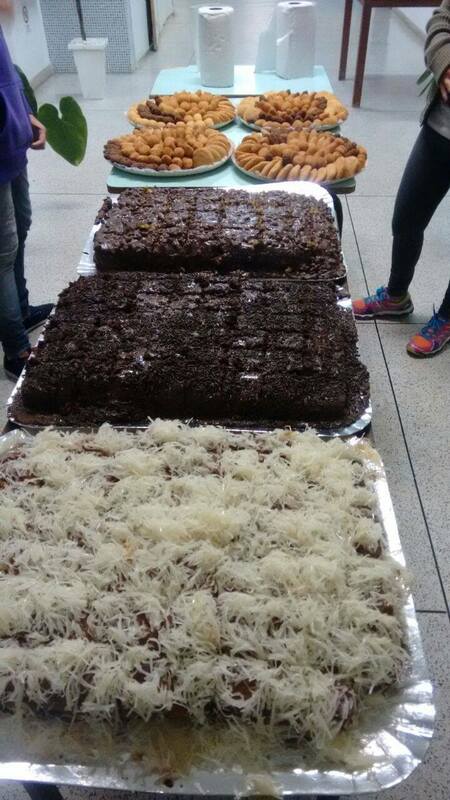 Although participants has to pay for their consumption, and thank to the co-sponsorship of the Restaurant owners, it was a success. Marina Reback, alumni of IOI-TC Brazil 2016, presented her PhD project about oil pollution in mangroves and the social importance of this environment. Marina Bettim presented her master’s thesis about how the plastic pollution is arriving on the beach and what is the role of the physical variables on that process. 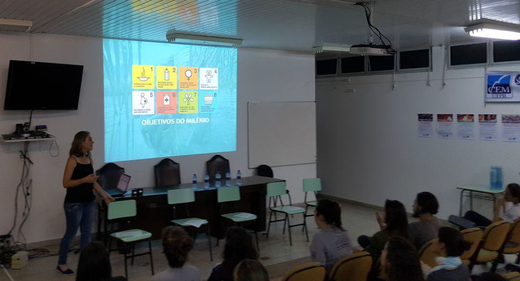 Finally, the project Oceano na Estrada talked about its work with environmental education, new technologies for scientific diffusion, change of consumer’s habits and waste disposal. At the end, we showed and discussed with the community what we are doing in academia and how this researches can be applied in our daily life and how we can live in harmony with the nature and especially, the ocean. The opening of the activities, in the International Day of the Trees, was celebrated by planting more than twenty trees of local species at the premises of the host institution. The IOI-Brazil Director, Prof. Eduardo Marone, participated on this week at the 38th Ocean Governance Training Program offered by IOI-Canada, where he presented a short lecture regarding the challenges of the IOITCLAC in organizing and presenting training courses in Latin America and the Caribbean, discussing their contents and particularities. 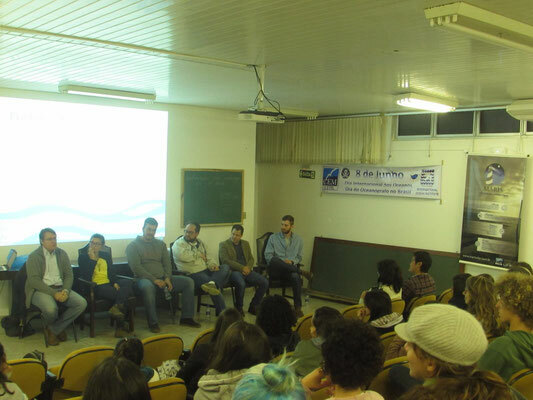 In addition, it was a National wide activity during the Ocean Day, organized and conducted by one of the main IOITCLAC lecturers, Prof. Dr. Alexander Turra (IO-USP, São Paulo, Brazil) (closing talk), who was deployed by internet on real time and gathered a big audience. Details can be found at http://www.iea.usp.br/eventos/futuro-dos-oceanos (only in Portuguese). At the host IOI-Brazil institution, CEM-UFPR, the auditorium and the internet connection was enable, allowing a wide participation of youth scientists and practitioners. To celebrate International Ocean Day, which happen together with the Oceanographers' Day in Brazil, IOI-TC-LAC prepared some discussions related to the theme "Marine Life: conservation and sustainable use of the oceans, seas and marine resources for sustainable development", which is Objective 14 of Sustainable Development Goals. Differently of previous years, for the 2017 celebration IOI-TC-LAC volunteers prepared material and activities to be developed in previous and following days, extending the activities with a closure on June the 8th. On June 7 the discussions focused on the knowledge and interaction of the participants with the theme and the intention was to make them feel part of the marine ecosystem and to be able to develop specific actions to add strength to the path to the goals of the SDG 14. On June 8 the goal was to bring an open discussion about how each area of sciences and society can contribute to the SDG 14 and for that we did an open workshop moderated by some researchers of the Center for Marine Studies with all the participants. The round-table was formed by Eduardo Marone, Camila Domit, Marina Reback and Daniel Telles, and after short presentation of each speaker, the discussion was open with the participants, whom elaborated graphic material for exposing their ideas and to be distributed all around. We also presented how the International Ocean Institute has been working to facilitate the role of people working within this objective through training courses, empowering leaders with the proper knowledge and ocean governance issues, as this is the main key to achieve the goals of the SDG 14. In addition to governance of the oceans, other issues have been addressed at the roundtable, such as community awareness and dialogue, aligned with public policies and local governing bodies; as the importance of adequate knowledge and control for the management of marine preservation areas; the strong relationship that has been established throughout time by humanity with nature and, especially, with the sea and its relationship with security and peace, and how its wellbeing may be threatened by human activity itself. We also discuss the role of science in this context and the difficulty in working knowledge and passing it on in an accessible, effective and rapid way to all. A final get together was also organized at the end of the workshop and the final discussions. These discussions were not over this week, considering we are already organizing future activities related with this theme, in order to elaborate a document that summarize our ideas and how IOI-TC-LAC and its host, the Center for Marine Studies, can contribute to achieve each SDG goal. Also, we have the opportunity to invite another speaker, for a following activity, Dr. Leopoldo Cavaleri Gerhardinger, from NEPAM-UNICAMP, who was participating at the UN meeting in New York, to give us his impressions about the fate of the SDG in general and, in particular, those related to the Ocean (SDG 14). 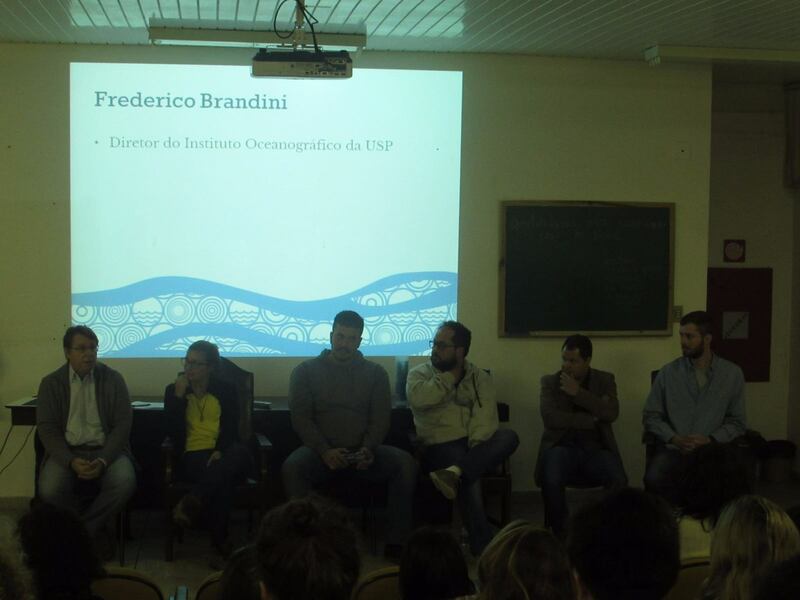 On Wednesday, June the 8th, to celebrate the World Ocean Day and the Oceanographer Day in Brazil, a round table with the theme “Opportunities for oceanographers in Brazil” was organized by Maris - Junior Company of Oceanography, with support of the Brazil Centre of the International Ocean Institute and the Academic Centre of Oceanography. The table included representatives from various areas of oceanography, in order to discuss questions from the public regarding the importance of the Oceans, the opportunities for entrepreneurs on oceanography, questions about the work of a professional in the field of ocean sciences, the importance of professional associations, among others. At the end of the discussion the Director of IOI-Brazil, Eduardo Marone, acknowledge the participants and the public. The invited speakers were of high relevance by their diversity and levels: Frederico Brandini, biologist, PhD in Biological Oceanography, currently director of the Oceanographic Institute of the University of São Paulo (IOUSP), one of the biggest Brazilian Institution dedicated to Marine Sciences. Emilio Dolichney, oceanographer, company director at Acquaplan Technology and Environmental Consulting Ltda. and vice-administrative president of the Brazilian Association of Oceanography (AOCEANO). Maikon Di Domenico, an oceanographer working in Biological Oceanography, currently professor at UFPR. Felipe Freitas, oceanographer formed in 2012 at UFPR, currently a graduate candidate in Environmental Management at the Federal Institute of Paraná (IFPR). Amanda Albano Alves, newly formed in Oceanography at the Federal University of Paraná (UFPR), who dedicated her efforts during undergraduation to social entrepreneurship and is now part of the Working Group of PPGMar Entrepreneurship. Marco Albrecht Schmalz, undergraduate student in oceanography at UFPR, now working in the company DTA Engineering and member of the project “Oceano à Vista” (Ocean in Sight). After the closure, a café was organized for participants to exchange ideas and experiences with each other and the members of the round table, in a relaxed atmosphere.